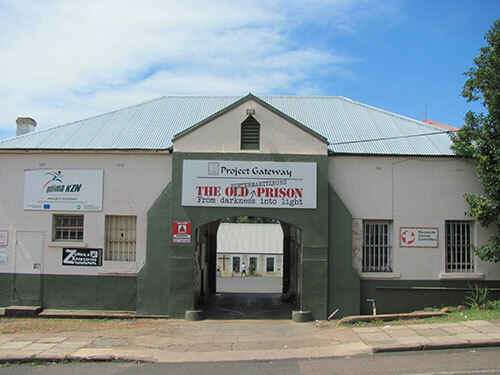 Project Gateway is a non-profit organisation set up officially in 1992 as a social outreach of the churches in Pietermaritzburg following a time of huge political turmoil in the Pietermaritzburg area of South Africa in the late 1980s. Pastors from the local churches were not willing to ignore the situation, and Project Gateway was formed as a response to the immense need that surrounded them. Originally as a group of churches together providing food and clothing to the needy, after the closure of the Old Prison in 1989 the buildings were given to Project Gateway to use. The prison was converted into a centre for community development projects which we are still running today. Today, more than twenty-five years on, we are still helping the poorest of the poor in and around Pietermaritzburg. The vision of Project Gateway is to see local churches caring for the poor in the areas of Care, Education, and Empowerment, and to provide a model and resource base for the city of Pietermaritzburg and the surrounding communities. Project Gateway also aims to be self sustaining as far as possible and therefore, a number of profit making ventures are in place. These include tours of The Old Prison in which we are based, the sale of crafts made by local people, the hiring out of conference venues on site and our popular Volunteers and Teams programme. We also have two charitable trusts operating on our behalf - one based in the UK (PCF Gateway Trust), and one in the USA (The American Fund for Charities). Project Gateway is overseen by an Executive Board consisting of individuals from a cross section of co-working churches as well as others with expertise in strategic areas. As an organisation, we are committed to the empowerment of people both within the organisation and those we serve. This commitment is evident in the composition of our Board, who are expected to give oversight, visionary input, prayer and leadership to the organisation as a whole as well as to the specific projects. The Executive Board (pictured above) is assisted by a central management hub, known as CORE (Central Operational Resource and Executive) Services, consisting of administration, finance, human resources, donor marketing and public relations. In this way CORE's vision is to see a cohesive, multi-church, Kingdom based organisation using Biblical principles to improve people's quality of life by ensuring that all Project Gateway programmes adhere to the vision of the organisation and to see the implementation of Executive Board decisions in these programmes.